What a difference a week makes. After losing 10 in a row, the Red Sox have now won 7 in a row, including a 3-game sweep of the Tampa Bay Rays finishing up with a 4-0 win on Sunday afternoon at Fenway Park. 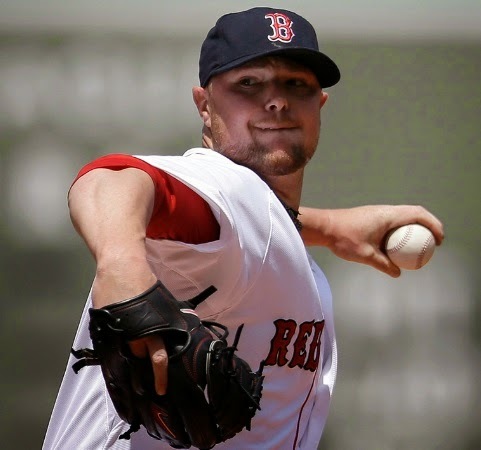 Jon Lester went 7 strong innings for the win to even his season record at 6-6. He scattered 4 hits and walked just 1 while striking out an even dozen. He threw 73 of his 112 pitches for strikes. Brock Holt went 4-for-4, all doubles, to lead the Red Sox attack. He also scored a run and drove in 2. Garin Cecchini and Alex Hassan each made their major league debuts and notched their first career hits.